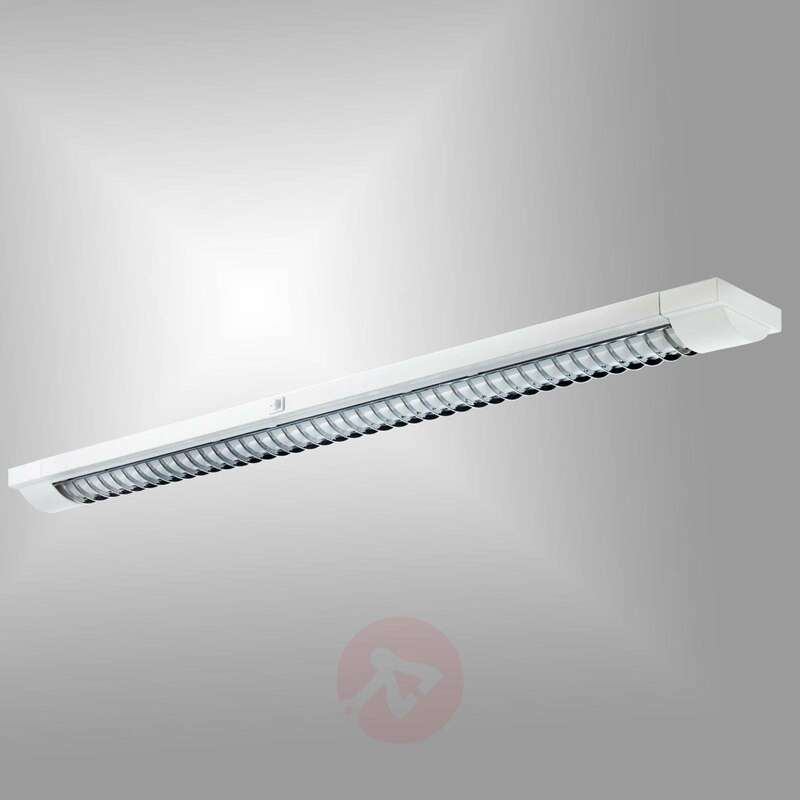 Louvre light Amao with integrated EB can be used as a ceiling light or as a hanging light with the cable suspension system included . It comes with a switch. 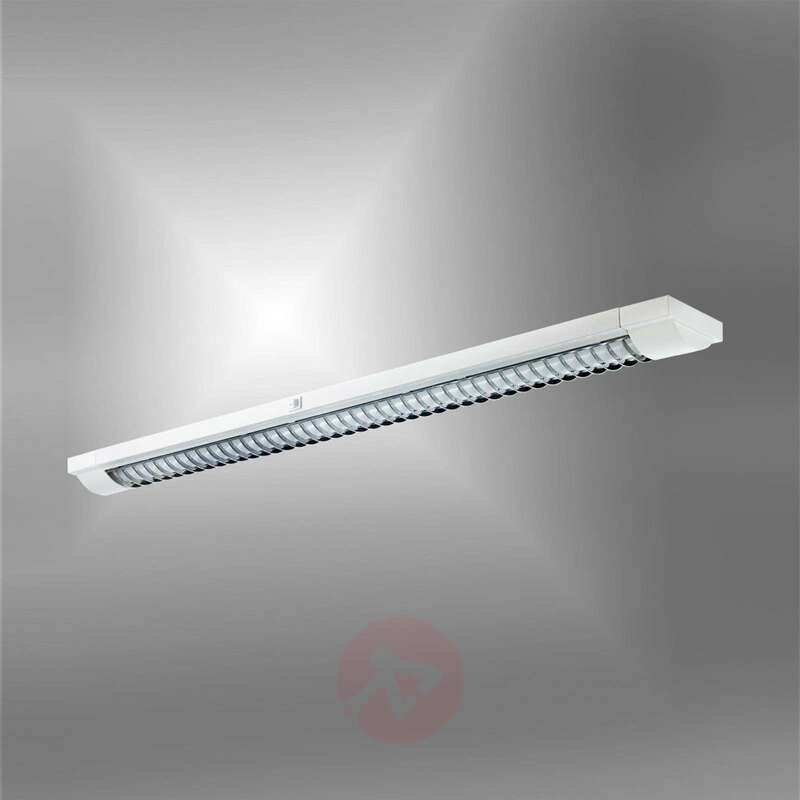 Light is optimally distributed through the louvre and brings glare-free light to every workplace. 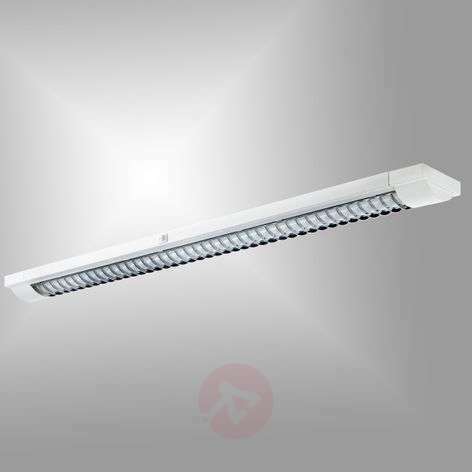 The white louvre light with chrome-plated louvre comes with a fluorescent tube.